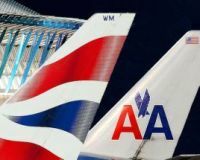 Air New Zealand hosts "Oscar"
New York and London are to be linked with virtually hourly services by oneworld carriers American Airlines and British Airways following EU approval of the airlines’ relationship. Previously, of the 11 daily flights to New York, five left Heathrow at almost exactly the same time, leaving gaps of up to three hours between services. Now flights will depart every hour, on the hour between 13:00 and 20:00 from Heathrow. There will also be a maximum of only an hour and a half between morning departures with the first outbound (BA) at 08:30 arriving at JFK 11:00 (all times local). A mixture of Boeing 747s and Boeing 777s are used for the services. American only links Heathrow to Kennedy whilst British Airways flies from both Heathrow and London City to that airport but also from Heathrow to Newark, New York’s New Jersey airport. The actual aircraft destined for a 'private' customer later this year, Boeing’s “all new” 747-8 International, made its debut flight from Everett yesterday (20 March 2011). 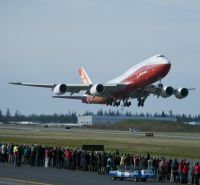 The aircraft landed four hours and 25 minutes later at Boeing Field in Seattle. 600 hrs of flight testing will be required. Currently 1,418 Boeing 747s have been built since the original aircraft, just like this one in a company paint scheme, first flew on 9 February 1969. The 747-8 is a stretched and re-engined version of the 747-400. At 251ft it is the world’s longest aircraft. To date orders have been received from Lufthansa (20), Korean Air (5), Air China (5). Eight executive versions have been confirmed. A freight version has sold in larger numbers, the total order book standing at 109. Vueling has taken over the Madrid (MAD) to Warsaw (WAW) route from Iberia, which holds a 46% shareholding in the low-cost carrier. Flights now operate four times weekly with the airline’s 180-seat Airbus A320s, competing with LOT Polish Airlines’ five weekly flights. During the summer season, the route is also operated by Wizz Air. The Warsaw announcement was made at the same time as the airline announced its 2010 results. 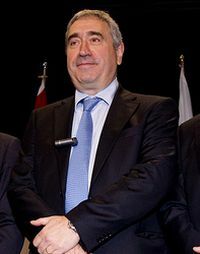 Vueling carried 11,036,183 passengers in 2010 an increase of 35% on that of the previous year. Now Spain’s second largest airline Vueling increased its revenue by 32% posting a profit of €46m, an increase of two-thirds over the previous year’s €27.78m. However the results for the last quarter have been affected by the sharp rise in the price of fuel. These have increased by 45%, whereas the remaining costs have dropped by -0.3%. 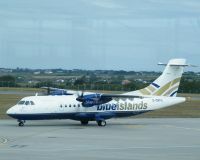 Blue Islands, the Channel Islands airline, is to launch a twice daily return service between Jersey and London City Airport starting on 18 April. Peak slots have been secured at London City Airport which will provide travel straight into London’s financial district. Flights will depart from Jersey on Monday to Friday at 07:25, returning from London City at 09:15, with an evening service leaving Jersey at 17:15 and departing City at 19:05. A further flight is scheduled for Sunday evenings at the same times as the weekday service. There are no services planned for Saturday. Flight time is 1hr 20mins. The route will be serviced by a Blue Islands latest acquisition fast new ATR 42-500 series aircraft, specifically purchased for the London service, seating up to 48 passengers. The same aircraft will operate the carrier’s route to Geneva and Zurich in the middle of the day from Jersey. Flybe is to pull its service from Manchester to the Kent airport of Manston from 4 April and to replace it with a three times per week flight to Belfast City Airport on Tuesday, Thursday and Sunday. The airline said that passenger numbers made the Manchester route economically unviable. The new service will be flown by a Bombardier Q400 72-seat turboprop with a flight time of 1hr 40mins. The daily service to Edinburgh continues and here the flight time is 1hr 35 minutes. 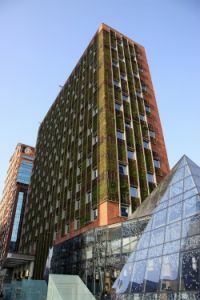 Intercontinental Hotels Group (IHG) has announced the opening of a 16-storey addition to its existing property in Santiago (Chile). The stunning new extension features 81-guestrooms, two swimming pools, VIP lounge, Lobby Café, four restaurants and 20 meeting rooms, totalling 27,200sq ft of meeting and function space, making the 377-room InterContinental Santiago one of the largest convention centres in the country. Ideally situated in ‘El Golf’ area of Las Condes, the hotel is in the heart of Santiago’s financial district and a short distance from exclusive restaurants, upscale shops and top attractions such as San Cristobal Hill, Plaza de Armas and La Moneda Presidential Palace. KLM Royal Dutch Airlines will launch thrice-weekly service to José Martí International Airport on Cuba with effect from its 2011 winter schedule starting 31 October. 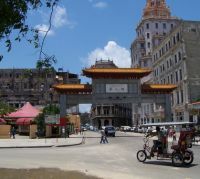 Cuba will then become KLM’s 68th intercontinental destination. Havana is still a banned destination from the USA and has limited services from Europe, including a three times per week single class nine-hour Boeing 767 operation by KLM subsidiary Martinair from Schiphol. Virgin Atlantic flies weekly from Gatwick. The new KLM flights will also operate three times weekly on Mondays, Thursdays and Saturdays to Cuba returning overnight the same day. The service will be flown by MD11 equipment, offering 24 seats in World Business Class and 261 in Economy. www.klm.com. Following Ryanair’s controversial decision to withdraw its Stansted – Pau operation at the end of March, Dublin-based Air France-owned CityJet has stepped in with a new service from its hub at London City Airport. The initial schedule will offer three return flights a week between the East London airport and Pau, three return flights from Dublin (one direct and two via Amsterdam), and two return direct flights a week from Amsterdam. All flights will be operated by 95-seat Avro RJ85 jets with 32” seat pitch and a 3+3 configuration. CityJet offers a seat choice, and a complimentary food and beverage service. Golf bags travel for free. 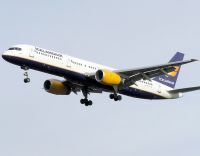 Icelandair is to change its current arrangements with respect to Glasgow and Manchester to Iceland starting 20 September 2011. Out goes the current Keflavik – Manchester – Glasgow "triangle route" and in comes direct non-stop services. 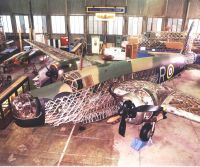 The Glasgow operation will be three times per week on Tuesdays, Thursdays and Sundays. From Manchester flights will operate up to three times per week on Mondays, Wednesdays and Saturdays. Keflavik International Airport (KEF) is 30 miles from the Iceland capital of Reykjavik (RKV) which has its own small airport for regional flights. 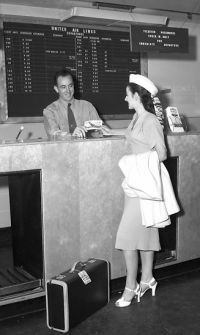 United Airlines has expanded its mobile check-in and mobile boarding pass capability to customers who are travelling internationally. The domestic paperless boarding option, now available at 62 US airports, can be used by fliers heading overseas as well. The mobile boarding pass option is also available to customers departing from eight European and Asian airports, including Heathrow, Munich and Osaka. “The expansion of our mobile check-in feature and paperless boarding option to international travel enables our customers to enjoy even more flexibility and control throughout their travel experience,” Martin Hand, Vice President of Customer Experience, said in a news release. Boris Johnson, once the Member of Parliament for Henley, which is effectively a Heathrow constituency, has done something of an about-turn calling the Government “crazy” over its unwillingness to discuss new airport capacity in the south east of England. 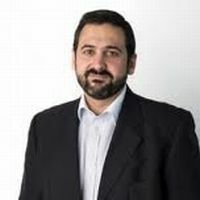 Mr Johnson, as Mayor, opposed the Heathrow (LHR) third runway project and heavily promoted a questionable scheme for an airport in the Thames Estuary. Speaking at a People’s Question Time event last week, Mr Johnson warned that a lack of new runways is hindering London's long term competitiveness highlighting figures that Beijing (inevitably – Editor) had overtaken LHR in the pecking order of world airports in terms of passenger throughput, and also behind Atlanta and Chicago. It still leads as the world’s busiest international airport. Soaring air passenger taxes he called “an absolute disgrace”. 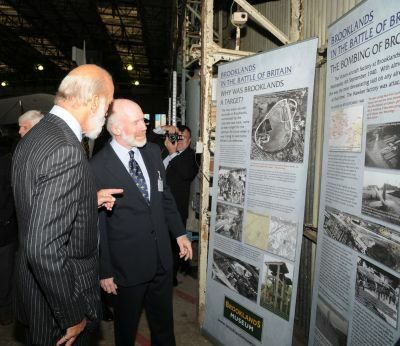 He did not make it clear if he was now in favour of expansion at Heathrow, or Gatwick/Stansted. 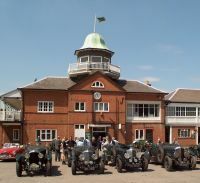 BAA Ltd took the opportunity of issuing a press release. Lufthansa, who were the lead airline 40 years ago for the Boeing 737, has become the biggest customer yet for the Airbus new “neo” aircraft, a more fuel-efficient version of its A320 family of single-aisle short haul jets. The German flag carrier said it had ordered 30 of the aircraft, 25 A320neos and five of the larger A321neos, for delivery in 2016. 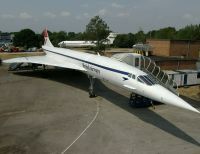 Airbus claims that the re-engined aircraft will burn about 15% less fuel than the current models. Lufthansa also has committed for the smaller, and as yet unproven, Bombardier C series, due to fly in 2013. Also announced at the same time was an order for five Boeing 777 freighters. Lufthansa says it expects revenues and operating profit to continue to increase in 2011 on the heels of a sharp upturn in profit in 2010. Paul Franklin got stopped by the Los Angles Airport security staff last week. They were interested in the gold statuette he was carrying. It’s called Oscar. The interest was genuine. Normally winners don’t go by scheduled jet but Paul was travelling home to the UK and needed to go through the scanner on his way to the (excellent) Air New Zealand lounge. 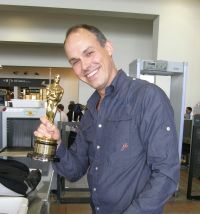 The Academy (The American Academy of Motion Picture Arts and Sciences) does not even provide a box to store the sculpture, this one awarded for visual effects. Paul was part of the creative team from London-based company Double Negative who won the award for the hit film Inception, which starred Leonardo DiCaprio. The ANZ lounge, also used by Virgin Atlantic, is a two-way effort, hosting flights to New Zealand and in the other direction to London. New passengers out of California use it too. As reported in AERBT last week the status of Hong Kong’s Asian Aerospace as the region’s premier commercial air transport event has been dramatically demonstrated with the number of VIP delegates up more than 130% over the 2009 show and the number of Chinese delegations increased by 50%. Overall attendance over the three days reached a record high of 12,300 delegates, with a further 5,300 attending Asian Business Aviation. The show was lucky as clearly the Japanese disaster, which started just after the show closed, would have severally affected participation. The overwhelmingly positive mood currently prevailing amongst Asian / Chinese carriers was perfectly reflected in orders worth approximately US$10bn being announced on the first day of the show. As a sign of confidence about Asia’s future, Cathay Pacific Airways later placed orders for 25 widebody Airbus and Boeing airliners worth US$6bn, following the announcement of a record profit of US$1.8bn for 2010. Kempinski Hotels has said it has delayed by two years a project in Dubai, even as it expands elsewhere in the Middle East because the market has become oversupplied, Bloomberg has reported. A 253-room development on Dubai's palm tree-shaped artificial island will remain a "shell" for the time being, with the opening pushed back until 2013, Ulrich Eckhardt, president of the Middle East and Africa division said. Geneva-based IATA (International Air Transport Association) has welcomed a joint statement issued by ICAO (International Civil Aviation Organization) on behalf of IAEA (International Atomic Energy Agency), IMO (International Maritime Organization), WHO (World Health Organization) and WMO (World Meteorological Organization), on the continued safety of air transport operations in Japan. These five organizations confirmed that there are no restrictions to normal air transport operations at Japan’s major airports, including both Haneda and Narita. IATA is co-ordinating actions among airlines to maximize existing fuel supplies, including voluntary tankering of jet fuel. Its Tokyo office, which annually manages US$20bn in industry fare settlements, remains open. According to the organization the most exposed market to Japanese operations is China where Japan accounts for 23% of its international revenues. Chinese Taipei and South Korea are equally exposed with 20% of their revenues related to Japanese operations, followed by Thailand (15%), the United States (12%), Hong Kong (11%) and Singapore (9%). Singapore Airlines is to delay the launch of Airbus A380 services to Tokyo and Los Angeles following a drop in demand for flights to Japan following the earthquake and tsunami disasters. "In view of the developments in Japan, Singapore Airlines is postponing the introduction of Airbus A380 services on flights SQ11 and SQ12 between Singapore and Los Angeles via Tokyo Narita until further notice," the Singapore flag carrier said in a statement. Turkish Airlines, a Star Alliance member, has continued expanding its US network with the introduction of a non stop service between Los Angeles and Istanbul. It is operated four times weekly by a Boeing 777-300ER aircraft with a flight time of 13hrs 15 minutes. 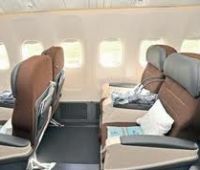 New for Turkish Airlines is Comfort Class, the carrier own version of a premium economy product with a seat pitch of 46”. First Class is being dropped on all services with the new 777-300ER configured 28 business, 63 comfort and 246 economy class seats. From Istanbul Beijing, Guangzhou, Sao Paulo, Shanghai and Toronto all have the new configuration with Tokyo (April), Hong Kong (mid summer) and New York (autumn) to follow. Asiana Airlines has become the latest carrier to sign up for the Rolls-Royce which Trent 900 engines to power its new fleet six Airbus A380 aircraft. 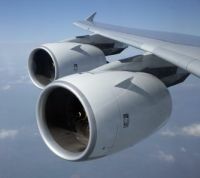 The deal is the first of its kind since the explosion of a Trent 900 engine on a Qantas operated Airbus A380 in November 2010 and is considered a real boost for the Derby based engine manufacturer . Based in Seoul, South Korea, Asiana Airlines will take delivery of its first aircraft in 2014. 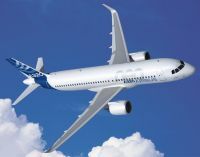 It had previously ordered Trent engines for 30 firm and 10 option A350 XWB aircraft. Readers may be aware that the UK immigration authorities have introduced a biometric lane in the immigration area of certain airports. Passengers are asked to remove their glasses in order for an image to be made as per the photo in the passport. You are expected to follow simple instructions. The difficulty for the short-sighted is that with one’s glasses removed it is impossible to actually read the commands. PS. No saving of staff. Each point was manned!